Here at Soul Happy, we love what we do, helping others to thrive and to be their best – its who we are! 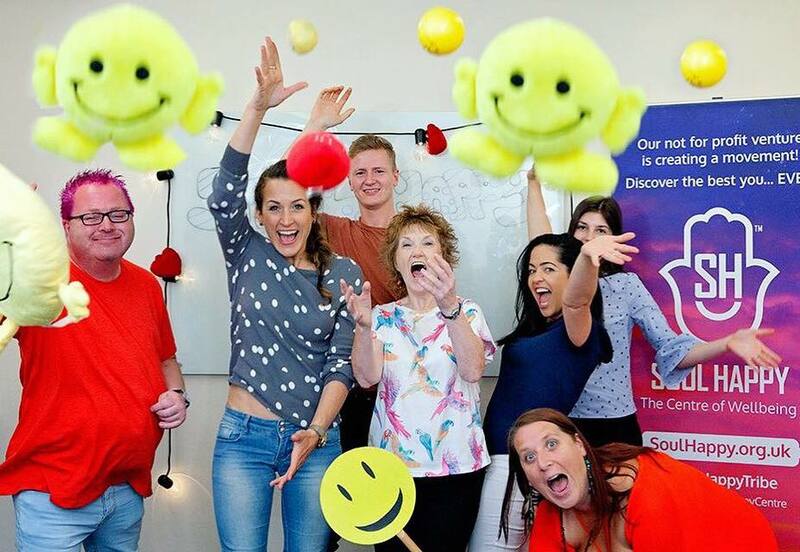 We are way more than just a group of practitioners, therapists and speakers, we are a happy and energy-giving team, creating a happy and high vibrational wellbeing community that welcomes and helps everyone! We have found our purpose, our vision and that’s to serve humanity and help people best that they can be …and ultimately help them find their own purpose and vision. We are striving to create a world where people are happy and in their flow of life. Embracing their gifts and purpose, respecting all, while caring and helping each other with the best possible impact on this earth. With all the stress, disease and chaos in our world today, we have a big job to do. However, we have already made a great impact as individual practitioners, so now we have come together as a team to help the masses, so that we can help even more people to happiness! We are creating the real heart of the city, Cambridgeshire and beyond.